MoreThe firm was founded in 1990 when Rodger M. Zimmerman, who had practiced criminal and civil trial law since 1961, was joined by his son Michael Zimmerman, whose practice concentration was solely personal injury law. Robert Cotner joined the firm in the 1990s and is now a partner, while John LeJeune joined the firm in 2002 and is now a partner. Rodger M. Zimmerman is now of counsel to the firm.Our attorneys offer clients over 100 years combined experience and have earned the respect of opposing...The firm was founded in 1990 when Rodger M. Zimmerman, who had practiced criminal and civil trial law since 1961, was joined by his son Michael Zimmerman, whose practice concentration was solely personal injury law. Robert Cotner joined the firm in the 1990s and is now a partner, while John LeJeune joined the firm in 2002 and is now a partner. 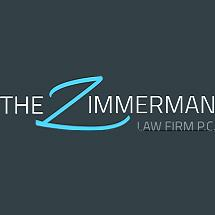 Rodger M. Zimmerman is now of counsel to the firm. Our attorneys offer clients over 100 years combined experience and have earned the respect of opposing lawyers and insurance companies. The firm has successfully represented thousands of Texans in personal injury and wrongful death matters over the years. The attorneys know that preparing every case for trial gives each and every client the best opportunity for a successful result. The firm prides itself in providing zealous representation, competent and credible expertise, personal service, and the necessary financial resources. We accept cases that involve serious injury or death, and those matters deserve professional care. We take pride in fighting for each and every one of our clients. We combine the sophistication and expertise of a large firm with the responsiveness and economic efficiency of a small firm. We are passionate, optimistic attorneys committed to winning. By seeking fair compensation for victims, we help prevent future individual and corporate misconduct in Texas. We are successful because we provide aggressive representation for our clients.